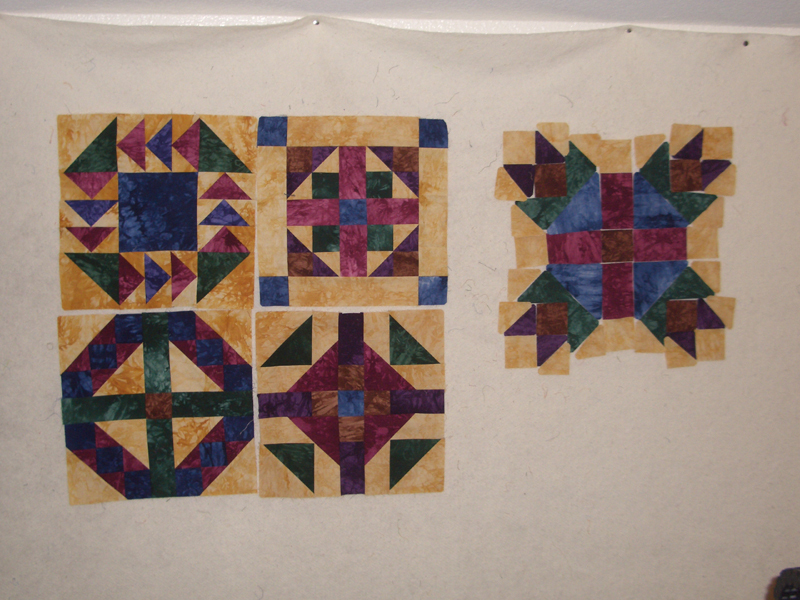 This week I am working on the blocks for the Medallion Quilt. I have finished 4 of the blocks and will be working on #5. I have three more after #5 to catch up with this block of the month. The blocks are pretty easy to piece together and I really like the hand dyed fabrics. I pick up the next block from Memory Lane on Oct 1.